Whether you own a business or home, you don’t want pest control issues. Pest management is important for any property owner, because pests cause damage, spread germs, and create an unsanitary (and unpleasant!) environment. If you live in Chappaqua, NY, or surrounding areas in Westchester County, you can breathe easier. All you have to do to get the extermination services you need is to call Rest Easy Pest Control. Depending on the type of ant in your home or business, they can do damage to your building or harm guests and loved ones. Carpenter ants, for example, destroy wood and building materials inside your walls. Ants that get into your kitchen contaminate food and cooking surfaces, causing you to waste food and valuable time recovering from the infestation. At Rest Easy Pest Control, our certified technicians use an Integrated Pest Management system that leaves no harmful chemicals, insecticides, or poisons around your property. So, you never have to worry about accidental ingestion by pets or children. Thorough ant control includes techniques that prevent future infestations, keeping your property safe. Perhaps one of the most hated pests around the world, cockroaches can be a problem for home and business owners year-round. The best way to manage a pest like cockroaches is to prevent them from living comfortably in your property. If prevention slips and you find yourself facing a roach infestation, call Rest Easy Pest Control for a thorough, professional roach extermination. Many people think bees only build hives in trees, but they also build in smaller bushes, building walls and under roof eaves. Not to mention, wasps, hornets, yellow jackets, and other flying insects, nest in stairwells, doorways, and even under windowsills. Because these stinging insects can be territorial and aggressive, don’t attempt to remove nests or hives yourself. Bee removal and management of all types of stinging insects should be handled by certified professionals. Call Rest Easy Pest Control when you see bees at your home or business and we’ll make sure you, and the bees, are safe. If you’ve never experienced a bed bug infestation, thank your lucky stars. Bed bugs are parasites that bite sleeping hosts, then burrow into mattresses, sofas, and other soft fabrics to nest. However, these insects also spread quickly and easily. They are a serious threat to the health, safety, and welfare of homes. They’re an even bigger problem in shared commercial spaces like hotels, apartment complexes, and office buildings. Call Rest Easy Pest Control if you suspect a bed bug infestation. Removal of bed bugs involves multiple steps to make sure that all eggs and adult are eradicated. This type of extermination should always be handled by certified, trained professionals. Our bed bug exterminators are top quality and some of the best you’ll find in Chappaqua, NY. Handling a rodent infestation requires a different approach, techniques, and training than other types of pest control. Rodents are aggressive and notoriously difficult to remove, and they spread disease and destroy property. Although no one wants rats or mice at their property, it can be dangerous to lay out poisons or hazardous chemicals if children or other animals may contact it. 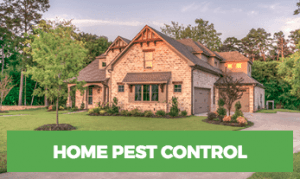 The rodent control and removal professionals at Rest Easy Pest Control use an Integrated Pest Management approach that humanely handles your rodent problem, without putting your loved ones at risk. 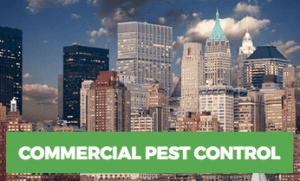 If you live in Chappaqua, NY – or anywhere throughout Westchester County – and are struggling with pests, call Rest Easy. When you choose our services, you know you’re in good hands.